Larceny: 11/03/2013 at 4:10 p.m. – Harvard St. While working at the front desk, an officer received a report of Larceny. According to the victim, her wallet was stolen while she was at a business on Harvard St. The victim reported searching the entire store and parking lot with the assistance of the store manager for the wallet, but the search yielded no results. Operating After Suspension: 11/06/2013 at 7:24 p.m. – Washington St.
A random query of a vehicle’s information revealed the owner had a suspended license. An officer initiated a traffic stop on Washington St. The owner was confirmed to be the operator of the vehicle. He was placed under arrest for Operating After Suspension. An officer observed a vehicle fail to stay in the proper lane. The officer initiated a traffic stop at the intersection of Washington St. and Pond Ave. A query of the driver’s information revealed he had a suspended license. He was placed under arrest. A query of the passenger’s information revealed she had a warrant out of Chelsea District Court. She was placed under arrest. A search of her bag revealed a green, leafy substance believed to be marijuana and a pipe containing residue believed to be cocaine. A query of a second passenger’s information revealed he had a warrant out of Quincy District Court. He too was placed under arrest. Larceny: 11/5/2013 at 12:57 p.m. – Gibbs St.
An officer was dispatched to Gibbs St. after receiving a report of larceny. Upon arrival, the officer was met by the victim who stated approximately three months prior he had been contacted by a company called “Mega Millions.” The company informed him that he was the winner of a monetary prize if he would wire two payments of $7,500 to a separate bank account. The victim has been unable to get in contact with the company since wiring the money. Larceny: 11/5/2013 at 6:01 p.m. – Harvard St.
Several officers were dispatched to a business on Harvard St. after receiving a report of larceny. Upon arrival, the officers were met by the store’s Loss Prevention Officer. The Loss Prevention Officer stated he observed a man placed a jacket into a plastic bag and attempt to leave the store without paying. The officer detained the suspect who was placed under arrest for larceny. Larceny: 11/4/2013 at 10:00 p.m. – Kent St. While working at the front desk, an officer received a report of larceny. According to the victim, her baby stroller was stolen while in the front hallway of her residence, which is unsecured. Not Duly Licensed: 11/6/2013 at 3:22 a.m. – Highland Rd./ Jamaica Rd. An officer observed a vehicle traveling with a defective taillight. The officer initiated a traffic stop at the intersection of Highland and Jamaica Rd. A query of the driver’s information revealed his license was expired. He was placed under arrest for being not duly licensed. Today at approx. 2:44PM, Animal Control officer Pierre Verrier was dispatched to 12 Short Street for reports of an aggressive turkey. As the officer was existing the vehicle the vehicle started to roll backwards down Short Street towards Beacon. The vehicle knocked the officer to the ground; he was able to radio for help. Officers responded, saw the officer down on the street and the vehicle resting against the side of the building on the corner of Short Street and Beacon Street, a short distance away. Several parked cars had been struck before the vehicle came to rest. The officer was taken to Beth Israel Hospital, where he is undergoing a series of test. Preliminary reports are no serious injuries. Brookline Police accident reconstruction team is handling the investigation. Officer Verrier is a 25 year veteran of the force. 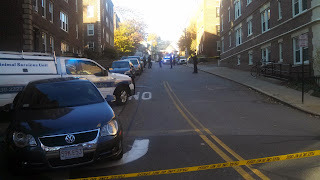 Boston University, State Police and Brookline Officers responded to a call at 808 Commonwealth Ave early this morning. A body of a 39 year old male, a contractor for Otis Elevators, was discovered on the scene. There were no signs of foul play. The body of the deceased is currently with the medical examiner. A suspect in multiple Breaking and Enterings was arrested by the Boston Police Department earlier this week. He has been linked to two Breaking and Entering incidents in Brookline, which occurred at a nail salon on Boylston St. and a gas station on Washington St., both occurring on October 20th. The suspect was identified using video surveillance footage. The Brookline Police Department will be seeking warrants charging the suspect with the two B&E’s in Brookline. Receiving Stolen Property: 11/04/2013 at 7:08 p.m. – Harvard St.
Several officers were dispatched to Harvard St. to take a report of Shoplifting. Upon arrival, the officers met with an employee who was able to identify two females he suspected of shoplifting. One of the suspected shoplifters had two warrants out of Quincy and Roxbury District Court. She was placed under arrest. The second suspect will receive a summons to Brookline District Court for Shoplifting. An officer was dispatched to Commonwealth Ave to take a report of Larceny. The officer was met by the victim upon arrival, who stated he had locked his bicycle to a rack in the parking garage. When he returned for the bike several hours later, he saw it had been taken. An officer observed a vehicle with a broken headlight. The officer initiated a traffic stop at the intersection of Washington St. and Pond Av. A query of the driver’s information revealed he was not duly licensed. He was placed under arrest. Larceny: 10/31/2013 at 4:00 p.m. – Washington St.
An officer was dispatched to Washington St. after receiving a report of larceny. Upon arrival, the officer was met by the victim who stated his cell phone had been stolen. The victim stated he mistakenly left his cell phone on the table of a restaurant he was eating at. Once he realized his mistake, the victim returned to the restaurant but discovered it had been taken. Malicious Damage to a Motor Vehicle: 11/01/2013 at 8:00 a.m. – Beacon St.
An officer was dispatched to Beacon St. after receiving a report of malicious damage to a motor vehicle. The officer was met by the victim who stated when he returned to his parked vehicle he saw that someone had keyed the trunk. Malicious Damage to a Motor Vehicle: 11/03/2013 at 1:13 a.m. – Park St.
An officer was dispatched to Park St. after receiving a report of malicious damage to a motor vehicle. Upon arrival, the officer was met by the victim who stated she heard a loud noise like shattering glass and went outside to inspect her vehicle. She discovered her windshield had been smashed. Larceny: 10/21/2013 at 12:36 p.m. – School St.
An officer received a report of a past larceny while working at the front desk. According to the victim, someone had stolen his daughter’s violin. The victims were hoping the missing violin would be turned in, but it still remains missing. Not Duly Licensed: 11/01/2013 at 2:09 p.m. – Boylston St./ Catlin Rd. An officer observed a vehicle driving erratically. The officer initiated a traffic stop at the intersection of Boylston St. and Catlin Rd. A query of the driver’s information revealed he was not properly licensed. The operator was placed under arrest. B&E of a Motor Vehicle: 11/03/2013 at 7:37 p.m. – South St.
An officer was dispatched to South St. after receiving a report of a Breaking and Entering of a Motor Vehicle. Upon arrival, the officer was met by the victim who stated she left her unlocked vehicle in the driveway of her home. When she returned to her vehicle, she saw the contents of her glove box and center console were strewn around the car. The victim’s GPS and money from her wallet were reported missing. Larceny: 10/31/2013 at 1:18 p.m. – Harvard St.
Several officers were dispatched to a business on Harvard St. after receiving a report of larceny and assault. The officers were met by store employees who stated a man had come into the store carrying a shopping bag, which he proceeded to fill with merchandise before trying to leave the store without paying for the items. The man was confronted by the store’s Loss Prevention Investigator. After being approached, the suspect acted erratically, shoving the Investigator before fleeing the store. A search of the area yielded negative results. Larceny: 10/31/2013 at 1:25 p.m. – St. Paul St.
Due to the recent rash of package thefts on St. Paul St. an officer was sent to patrol this area. While patrolling the area, the officer noticed a male subject acting suspiciously. The officer continued to observe this subject, who stopped at a complex on St. Paul St. and took a package before quickly attempting to leave the area. At this time, the suspect was stopped by the officer and placed under arrest for Larceny. Malicious Damage: 10/31/2013 at 7:59 a.m. – Gardner Rd. An officer was dispatched to Gardner Rd. in order to take a report of malicious damage. According to the victims, someone through a rock through their window breaking two panes of glass. There are no suspects at this time. 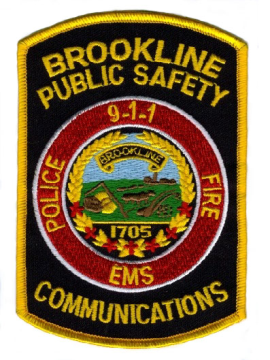 The Brookline Public Safety Communications/E911 Center is currently accepting applicants for the pre-employment computer-based skill and ability test in preparation for future openings. Candidates for the Emergency Telecommunications Dispatcher position must successfully pass this exam in order to be considered for employment. 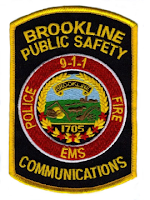 The Brookline Public Safety Communications/E911 Center and the Town of Brookline Human Resources Department will accept the resumes of those interested in any future openings that become available and will schedule a date and time to conduct the pre-employment exam. A candidate for the E-911 Dispatcher position must be willing to work all shifts, including nights, weekends, and holidays. Candidates must possess the ability to earn and maintain several state and national certificates. Candidates must possess a High School Diploma or Government Equivalency Degree (GED). Other prerequisites include; superior keyboard, computer and communication skills as well as the ability to handle multiple incidents simultaneously in a stressful environment. Experience is preferred but not required. Additionally, candidates for the position are required to undergo a thorough background investigation, including, but not limited to employment, financial and criminal background. Starting salary is $19.50 per hour plus benefits. Larceny: 10/30/2013 at 4:30 p.m. – Harvard St.
An officer was dispatched to a business on Harvard St. after receiving a report of larceny. Upon arrival, the officer was met by an employee who stated she observed a man take two bottles of face wash from the store without paying for them. She confronted the suspect, who then fled the scene. A search of the area yielded negative results. An officer was dispatched to Pond Ave. after receiving a report of larceny. Upon arrival, the officer was met by the victim who stated she briefly left her IPad unattended and upon her return she discovered it had been taken. A review of video surveillance revealed a male take the IPad and carry it from the business. Brookline officers were able to locate the suspect and retrieve the victim’s IPad. The suspect will receive a summons into Brookline Police Department for Larceny. O.U.I.L: 10/31/2013 at 2:32 a.m. – Harvard St./ Webster St.
An officer observed a vehicle driving erratically. The officer initiated a traffic stop on Harvard St. While speaking with the driver, the officer observed his eyes to be glassy and his speech slurred. A series of field sobriety tests led the officer to believe the driver was intoxicated. The driver was placed under arrest for Operating Under the Influence of Liquor. Arrests made in Greenhill house break case. Jerid Chiasson, out of Waltham, MA, was arrested on October 29th around 11:00 p.m. Brookline officers arrested a second suspect, Shirvan Badalian of Watertown, MA. about an hour after Chiasson. 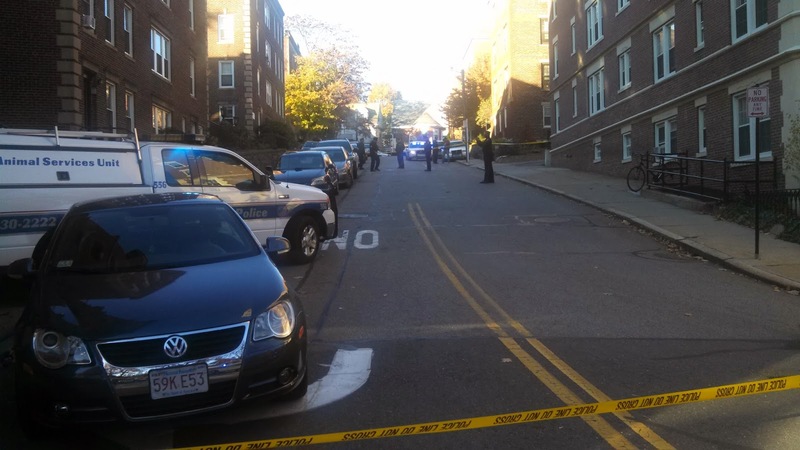 Larceny: 10/28/2013 at 7:30 a.m. – Beacon St.
An officer was dispatched to Beacon St. after receiving a report of larceny. The officer was met by the reporting party, who stated a work laptop had been stolen. There are no suspects at this time, but officers are working on obtaining video surveillance of the area. Larceny: 10/29/2013 at 9:19 p.m. – St. Paul St.
An officer was dispatched to a residence on St. Paul St. after receiving a report of larceny. The victim stated she arrived to home to find a package she was expecting opened and empty in her foyer. The matter is currently under investigation. Larceny: 10/29/2013 at 9:50 p.m. – St. Paul St.
An officer was dispatched to St. Paul St. after receiving a report of larceny. The officer was met by the victims who stated they had packages stolen from the foyer of their apartment building. Suspicious Activity: 10/28/2013 at 5:53 p.m. – Strathmore Rd. An officer was dispatched to a residence on Strathmore Rd. after receiving a call for suspicious activity. Upon arrival, the officer was met by the victim who stated when she went outside to retrieve her mail she noticed a tall male who appeared lost. As she returned to her apartment complex the man followed her inside. The victim quickly entered her apartment and closed the door, but the man proceeded to knock on her apartment door several times. At this time, the victim called the police. The suspect had fled the scene by the time officers arrived. A search of the area yielded negative results. Malicious Damage: 10/28/2013 at 4:48 p.m. – Pearl St.
An officer was dispatched to Pearl St. after receiving a report of malicious damage to a motor vehicle. Upon arrival, the officer was met by the victim who stated her front passenger window had been smashed. In plain view were the victim’s cell phone, purse, and jacket but none of these items were taken. Larceny: 10/26/2013 at 6:45 a.m. – Upland Rd. An officer was dispatched to a residence on Upland Rd. after receiving a report of larceny. The officer was met by the victim who stated her bike had been stolen from her unlocked garage. The victim stated she last saw the bike on Tuesday, the 22nd. Larceny: 10/28/2013 at 4:50 p.m. – Beacon St.
Am officer observed a man kick over a newspaper stand. The officer approached the man and asked him to pick up the stand. As the officer spoke with the suspect, he observed the man’s pockets to be stuffed full of medications which appeared to have come from CVS. The officer then contacted the manager of a nearby CVS and determined that the suspect had just been in the store and had not paid for the items. The suspect was placed under arrest. Larceny: 10/28/2013 at 2:30 p.m. – Kennard Rd. An officer was dispatched to Kennard Rd. after receiving a report of larceny. Upon arrival, the officer was met by the victim who stated he left his bicycle secured to a bike rack. When he returned to retrieve the bike several hours later, it was missing. Larceny: 10/26/2013 at 8:55 a.m. – Boylston St.
An officer was dispatched to a business on Boylston St. after receiving a report of larceny. According to the victim, he briefly placed his cell phone on a counter and left it unattended. When he returned, the cell phone was missing. Malicious Damage: 10/25/2013 at 11:07 p.m. – Egmont St.
Officers were dispatched to a residence on Egmont St. after receiving a report of a breaking and entering in progress. Upon arrival, the officers were met by the resident who stated someone had just kicked in his back door. A search of the area revealed a group of individuals who believed they knew suspect. An address for the suspect was provided and officers were able to make contact with him. The suspect was placed under arrest. Malicious Damage: 10/26/2013 at 12:00 p.m. – Babcock St.
An officer was dispatched to Babcock St. after receiving a report of malicious damage to a vehicle. Upon arrival, the officer was met by the victim who stated when he returned to his vehicle he saw all four tires had been slashed. B&E of a Motor Vehicle: 10/25/2013 at 4:05 p.m. – Monmouth St.
An officer was dispatched to a residence on Monmouth St. after receiving a report of a past breaking and entering of a motor vehicle. Upon arrival, the officer was met by the victim who stated she had returned to her car to find the driver’s door slightly ajar and her purse missing. The victim could not remember is she had locked the vehicle. Operating After Suspension: 10/27/2013 at 5:02 p.m. – Washington St./ Station St.
A random query of a vehicle’s information revealed the owner had a suspended license. An officer initiated a traffic stop on Washington St. The driver was confirmed to be the owner of the vehicle. He was placed under arrest for Operating After Suspension. Operating After Suspension: 10/28/2013 at 3:30 a.m. – Boylston St.
An officer observed a vehicle with only one operating headlight. The officer initiated a traffic stop on Boylston St. A query of the driver’s information revealed his license to be suspended. The driver was placed under arrest for Operating After Suspension. Larceny: 10/25/2013 at 9:00 p.m. – Tappan St. While working at the front desk, an officer received a report of a larceny. The victim stated she stated she left her personal belongings in a room which was supposed to be locked while she worked. When she returned several hours later, she saw her wallet had been taken. Suspicious Activity: 10/24/2013 at 10:59 a.m. – Harvard St.
An officer was dispatched to a residence on Harvard St. after receiving a report of a suspicious phone call. Upon arrival, the officer was met by the victim who stated an unknown caller called her cell phone stating that he was holding her son hostage for the amount of $2000.00. The victim immediately notified the police about the phone call. 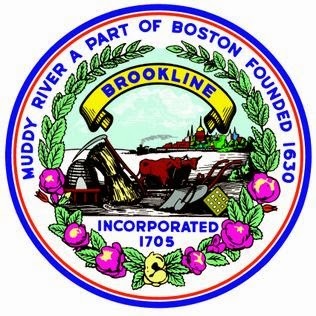 This incident is very similar to phone scams which have been occurring in the Brookline area. If you receive a similar phone call please notify the Brookline Police Department. Larceny: 10/22/2013 at 7:00 p.m. – St. Paul St.
An officer was dispatched to a residence on St. Paul St. after receiving a report of a larceny. According to the victim, a package belonging to her was opened in the lobby of her apartment building and the contents stolen. Possession of Cocaine: 10/24/2013 at 4:56 p.m. – Beacon St.
An officer observed a vehicle traveling at a high rate of speed and fail to stop at a red light. The officer initiated a traffic stop on Beacon St. A query of the driver’s information revealed he had a suspended license. The driver was placed under arrest. A routine search of the car revealed an aspirin bottle containing remnants of what appeared to be cocaine. Further investigation also revealed several sandwich bags containing marijuana and cocaine. The driver was additionally charged with Possession of a Class B and D drug. Operating After Suspension: 10/23/2013 at 3:45 a.m. – Harvard St.
An officer observed a vehicle fail to stop for a traffic light. The officer initiated a traffic stop on Harvard St. A query of the driver’s information revealed he had a suspended license as well as a warrant out of Boston District Court. He was placed under arrest. An officer was dispatched to Commonwealth Ave to take a report of larceny. Upon arrival, the officer was met by an employee and a BUPD officer who had placed the suspect under arrest. The BUPD officer observed the CVS employee pursuing the suspect and was able to apprehend him. The employee stated he observed the suspect placing several items into a plastic bag before exiting the store with no attempt to pay. Burglary: 10/20/2013 at 5:46 a.m. – Washington St.
Officers were dispatched to a business on Washington St. after receiving a report of past burglary. Upon arrival, officers reviewed surveillance footage which revealed a tall, thin African-American male wearing a dark hoodie kick in the door of the business. The video shows this individual taking a number of lottery tickets, 30 packs of cigarettes, a box of ATF oil, and some energy drinks. The individual then fled the store. A search of the area did not yield any results. Not Duly Licensed: 10/22/2013 at 7:43 a.m. – Washington St./ Brookline Ave.
An officer observed a vehicle fail to stop for a pedestrian. 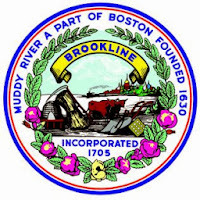 The officer initiated a traffic stop on Brookline Ave. A query of the driver’s information revealed she did not have a license. She was placed under arrest for not being duly licensed. Larceny: 10/21/2013 at 2:09 p.m. – Harvard St.
Several officers were dispatched to Harvard St. after receiving a report of larceny. Officers were met by the Loss Prevention Officer who stated he observed the suspects take several bottles of shampoo before leaving the store. He then observed the suspect get into a gray or silver Honda Civic. A search of the area produced negative results. The first suspect was described as an African-American male in his twenties or thirties, wearing a black coat and jeans. The second suspect was described as a Caucasian female in her mid-twenties, carrying a black handbag and wearing jeans. Robbery: 10/22/2013 at 12:27 a.m. – Verndale St.
Several officers were dispatched to Verndale St. to take a report of a robbery. Upon arrival, the officers were met by the victim who stated her purse was stolen by an African-American male. A witness pursued the suspect and attempted to confront him, but was struck across the face by the suspect, who then fled the area. A search of the area yielded negative results. Burglary: 10/20/2013 at 9:13 a.m. – Boylston St.
An officer was dispatched to a business on Boylston St. after receiving a report of burglary. Upon arrival, the officer was met by the store’s owner who stated approximately $1200.00 had been stolen from the store at some point during the night. Further investigation revealed the door to the business had been pried open and appeared as though the perpetrator also attempted to remove the TV from the wall of the business. Burglary: 10/22/013 at 1:03 p.m. – Washington St.
An officer was dispatched to a residence on Washington St. after receiving a report of burglary. The officer was met by the victim who stated her apartment had been broken into at some point during the day. Several items were taken including electronics, jewelry, and the victim’s passport. Operating After Suspension: 10/22/2013 at 6:42 – Chestnut St.
An officer observed a vehicle fail to stop for a stop sign. The officer initiated a traffic stop on Chestnut St. A query of the driver’s information revealed she had a suspended license. She was placed under arrest for Operating After Suspension. An officer was dispatched to Fisher Ave to take a report of larceny. The officer was met by the victim who stated that while on the Newbury College Bus her phone was stolen. The victim went on to say that while traveling on the bus, she placed her cell phone on the seat beside her, when she got up to leave the bus she saw her cell phone had been taken. Operating After Suspension: 10/17/2013 at 1:22 a.m. – Brainerd Rd. A random query of a vehicle’s information revealed the owner had a suspended license. The officer initiated a traffic stop on Brainerd Rd. The driver of the vehicle was confirmed to be the owner and was placed under arrest for Operating After Suspension. Sale of Marijuana: 10/17/2013 at 1:41 p.m. – Harvard St./ Thorndike St.
An officer observed a vehicle traveling at a high rate of speed. The officer initiated a traffic stop on Harvard St. As the officer approached the vehicle he could smell a strong odor of marijuana. Furthermore, the operator of the vehicle appeared very agitated. While speaking with the operator, the officer observed a black, draw-string bag. When asked what this bag contained, the driver offered it to the officer who was able to observe a number of plastic bags containing marijuana. The driver was placed under arrest for Possession of a Class D Drug with Intent to Distribute. Suspicious Activity: 10/16/2013 at 12:48 p.m. – Williston Rd. An officer was dispatched to Williston Rd. after receiving a report of a suspicious vehicle. According to a witness, the vehicle was a black sedan which stopped in front of the school and took several pictures before driving away. A search of the area yielded no results. Suspicious Activity: 10/16/2013 at 8:06 p.m. – Beacon St.
An officer was dispatched to a residence on Beacon St. after receiving a report of suspicious activity. According to the victim, she received a phone call from a male who claimed to work for Window Tech Company. The caller informed her that there was a number of viruses on her computer, and he would fix them for her. The victim provided her credit card information to the caller, but then grew suspicious. She immediately hung up and canceled her credit card. Attempts to contact the caller have proved unsuccessful. Operating After Revocation: 10/17/2013 at 2:20 a.m. – Harvard St.
An officer observed a vehicle make an illegal right turn. A query of the vehicle’s information revealed a status of Revoked Insurance. The officer initiated a traffic stop on Harvard St. A query of the driver’s information revealed his license was also revoked. He was placed under arrest for Operating After Revocation. Forgery: 10/16/2013 at 12:50 p.m. – Park St./ Marion St.
An officer was dispatched to Park St. and Marion St. after receiving a report of a suspicious vehicle. Upon arrival the officer observed the vehicle to have a forged inspection sticker. Further investigation also revealed a forged handicap placard in the vehicle. The owner of the vehicle will receive a citation for the forged documents. An officer observed a vehicle with a broken brake light. The officer initiated a traffic stop on Kent St. A query revealed the operator was not properly licensed. He was placed under arrest. Operating After Suspension: 10/16/2013 at 1:52 a.m. – Harvard St./ Webster Pl. An officer observed a vehicle traveling with its high beams illuminated; the driver failed to dim the beams when other vehicle’s approached. The officer initiated a traffic stop on Harvard St. A query of the driver’s information revealed he had a suspended license. He was placed under arrest for Operating After Suspension. Larceny: 10/04/2013 at 2:00 p.m. – Winthrop Rd. An officer was dispatched to a residence on Winthrop Rd. after receiving a report of larceny. Upon arrival, the officer was met by the victim who stated she was expecting a package to be delivered on October 4th. However when she arrived home on the afternoon of the 4th, there was no package. She eventually became suspicious and alerted Brookline officers to the possible theft. Larceny: 10/15/2013 at 5:45 p.m. – Greenough St. While working at the front desk, an officer received a report of a larceny. The victim stated he left his cell phone unattended in the locker room of Brookline High School, while he went to practice. When he returned, the cell phone was gone. Operating After Suspension: 10/16/2013 at 12:14 a.m. – Boylston St./ Tully St.
An officer observed a vehicle traveling well below the posted speed limit and failing to stay in its lane. The officer initiated a traffic stop on Boylston St. The officer spoke to the operator, who stated he was extremely tired. The officer did not observe anything to make him think the driver was under the influence of alcohol. A query of the driver’s information revealed his license was suspended. He was placed under arrest for Operating After Suspension. Threats: 10/14/2013 at 9:32 a.m. – Abbottsford Rd. An officer was dispatched to a residence on Abbottsford Rd. after receiving a report of a phone scam. The officer was met by the victims who described receiving a phone call from an unidentified man who claimed to be holding the victim’s brother for ransom. The caller asked for a payout of $2,000 cash. The victims stated they became suspicious of the call and tried to make contact with the brother. They were able to reach him via telephone and discovered he was in good health and not being held for ransom. Attempts to get in contact with the caller have been unsuccessful. Larceny: 10/14/2013 at 9:48 a.m. – Commonwealth Ave.
Several officers were dispatched to a business on Commonwealth Ave to take a report of larceny. Upon arrival, officers were met by an employee who described the incident. According to him, a tall, white male wearing a black trench coat had entered the store and proceeded to try on a North Face Jacket. It was a short while later that the employee saw the man quickly exit the store with the jacket without paying. A search of the area did not reveal anyone matching the suspect’s description. Several officers were dispatched to a business on Commonwealth Ave after receiving information that a shoplifter who had stolen from the store that morning had returned to the store. Upon arrival, officers were met by an employee who stated that the man currently in the store had taken a North Face Jacket from the store earlier in the day. Officers approached the suspect, who became very agitated. A search of his person revealed he had another jacket stuffed into his pants. The suspect was placed under arrest for Shoplifting. Not Duly Licensed: 10/15/2013 at 2:30 a.m. – Boylston St./ Hammond St.
An officer observed a vehicle traveling at a high rate of speed. The officer initiated a traffic stop at the intersection of Boylston St. and Hammond St. A query of the driver’s information revealed her license was suspended. She was placed under arrest for not being duly licensed. Larceny: 10/12/2013 at 6:00 p.m. – Heath St.
An officer was dispatched to Heath St. to take a report of larceny. Upon arrival, the officer was met by the victim who stated she accidently left her wallet on the table in the cafeteria. She returned the following day and was able to retrieve her wallet; however a credit card and her driver’s license were missing.